Most independent schools don’t have the opportunity to start off in such a facility and in fact many start out in a home, retail space, or within a church. Being able to start on day one with a real school building is truly a blessing. So, make sure you spread the word and also remind those you know that we are still accepting applications for Pre-Primary through 2nd Grade. Visit our Admissions page for more information. From now until August the MIS team will be busy at work on the facility giving it a new upgraded look, performing any required maintenance, and filling it with the furniture and supplies that will be needed to start classes on August 24th, 2009. As a non-profit school we ask for your support as we work on our facility. We will be patching, painting, cleaning, decorating, gardening, and many other ‘INGs. If you believe that you can assist us in any way please don’t hesitate to contact us at (512) 961-6431 or administration@magellanschool.org. We would love to get your help!. Securing the facility involved many of our supporters, including Board Members and families, that came together to provide the financial backing that allowed us to sign the lease. To all of you that have supported our School and, indeed even enrolled your children before we could even give you a street address, we thank you immensely for the trust and faith that you have placed in us. We are very excited about having reached this major milestone in the history of the school. That said, we still need your financial support in the form of tax deductible donations to enhance and grow our program even further. Please visit our Giving page for more information. In summary, we are delighted that we now have ourselves a facility and eagerly await the beginning of classes on August 24th! 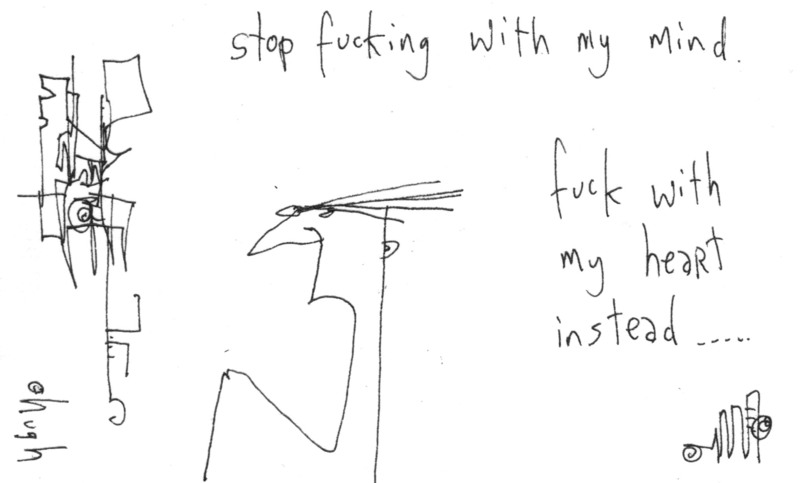 For some reason I felt compelled to write a Valentine’s Day post. My husband spent most of the day with the new head of school for The Magellan School (bilingual Spanish immersion school he is founding) that is opening Fall 2009. She flew in from Colombia this weekend to start meeting people and getting ready for the school opening. I really like her! She reminds me a little bit of my husband’s sister. One of the reasons I knew she would work well with my husband is that she grew up with several engineers in her family and knowing how to work with the ‘engineering-type’ is a plus because often I don’t understand how my husband – the rocket scientist – thinks (or doesn’t think)! They met with interested parents and were interviewed by the local news station KVUE. The segment is supposed to air on the Sunday night news after the Oscars. I took the kids to swim class and we joined them for lunch at PF Changs. We were planning on going to my best friend’s son’s birthday party but he got sick and we had a bunch of things going on here, so after my husband finished up his school related activities, we went to Barton Creek Square mall so I could exchange some things at Nordstrom’s that I had gotten during my recent trip to visit my mother. And yes, they took back a pair of shoes I had worn once that didn’t end up fitting well. Now that’s customer service! Given that I usually shop at Target, that was a great experience. We ended up having Valentine’s dinner at California Pizza Kitchen, where we had to wait 20 minutes for a table. For being in a down economy, the mall was overflowing with people…especially the Nordstrom’s shoe department! The kids enjoyed the pizza with fruit and we enjoyed the eggplant pizza with goat cheese and sausage. I sampled two different kinds of martinis. [As an aside, I’ve decided to make it a goal to try as many kinds of martini’s as I can this year!] The caramel apple martini was pretty darn good! Twitter raises $35 million! (I heart twitter – although I still don’t really know how they are planning to make money, but I have faith!) You can follow me on twitter @aruni. Currently I have about 1,700 followers. There’s another article on TechCrunch about the investment too which is an interview with one of the new investors. Make your own candy heart message at Cryptogram. @mikeneumann sent me that link. 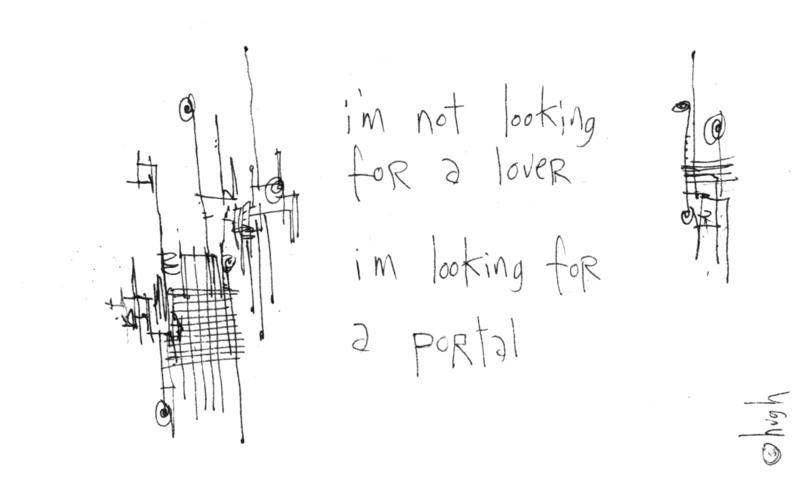 I’m not looking for a lover, I’m looking for a portal and stop f-ing with my mind, f with my heart instead cartoons by Hugh (aka @gapingvoid who has more than 13,000 followers on twitter). I asked him if he was going through a mid-life crisis, and he said he went through his years ago at a very young age. After I saw one of his cartoons with a naked women, I asked him about it and he sent me a link to one of his cartoons of a naked man…which I won’t link to here to protect the innocent, but it was pretty darn funny! Then @vicequeenmaria who lives in Miami sent me a link to a cartoon with alligators going to some place called Mango’s that I didn’t fully understand until she explained it, but it is too racy to link to here! Love at first site by @paisano (he has more than 3,000 followers) where he lists logos that were changed to reflect a Valentine’s Day theme (e.g., Google, Yahoo).